FORT BLISS, Texas (12/10/2012) - On the morning of Dec. 7, 1941, Japanese military forces attacked Pearl Harbor Naval Base, Hawaii, and killed or wounded more than 3,560 Americans, according to the U.S. National Park Service. The attack was declared by President Franklin D. Roosevelt as “a date which will live in infamy,” and led to the U.S. entering World War II. 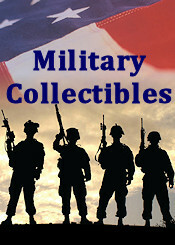 During the war, many Americans were drafted into military service to protect and defend their country. One of the Americans who received the call to serve was Juan Candelaria Marquez, an El Paso, Texas, native, who was living across the border in Mexico at the time. Marquez could have dodged the draft by staying in Mexico with his wife and two sons, but he decided to fulfill his obligation and move his family to El Paso, where he reported for training here Jan. 19, 1944. "As a U.S. citizen, a man proud of his country, he didn't want to dodge his obligation," the late soldier's son, Antonio Marquez said. "They taught him to shoot a rifle, and two weeks later, he was sent to war." Pvt. Marquez was shipped to the European Theater Feb. 9, 1944. There, he served as a rifleman with the 3rd Battalion, 71st Infantry Regiment, 44th Infantry Division, and fought on the front line of several campaigns in France and Italy. On Dec. 11, 1944, five days before the Battle of the Bulge, he was hit by a German tank and suffered broken ribs and a shoulder injury near Woelfling, France, but the rifleman was only allowed a brief rest to recover from his wounds and return to combat. "Then, when you had shrapnel wounds, they'd patch you up and send you back to the front line," said Antonio Marquez. After his discharge from the Army, Juan Marquez returned home to El Paso July 20, 1945, and worked at the Hirsch Brothers Machinery Company. On Aug. 29, 1948, he was killed in an automobile accident and survived by his wife and four sons. Years later, one of Juan Marquez's sons looked at his father's Army files and learned that his father was wounded in combat and didn't receive a Purple Heart. This began the Marquez family's mission of honoring their hero, Juan Marquez, with his unclaimed medals. “My uncle has been working on this for the past 25 years,” said the rifleman's granddaughter, Rep. Marisa Marquez, a Texas state lawmaker. She said the family had to obtain Juan Marquez's Army separation papers and death certificate that were lost after his death in 1948, and they had to prove that they were her grandfather's family members before he could be awarded the medals. After her family made several unsuccessful tries to receive the medals from the Army, they did complete their mission with the help of U.S. Sen. Kay Bailey Hutchison of Texas. 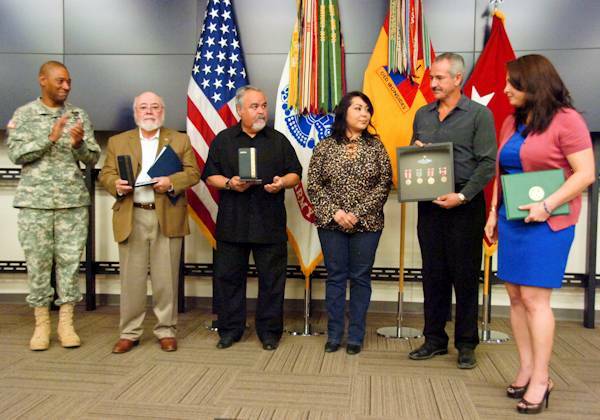 The Marquez family was presented Juan Marquez's two Bronze Stars, Purple Heart, European-African-Middle Eastern Campaign Ribbon and Good Conduct medal by Maj. Gen. Dana J.H. Pittard, commanding general 1st Armored Division and Fort Bliss, at a ceremony here Dec. 7, the 71st anniversary of the Japanese attack on Pearl Harbor. The ceremony concluded with a speech by an emotional Antonio Marquez. He thanked everyone in attendance and spoke about his hero, his father.